Thriving after a cancer diagnosis is all about maintaining balance in mind, body and spirit. 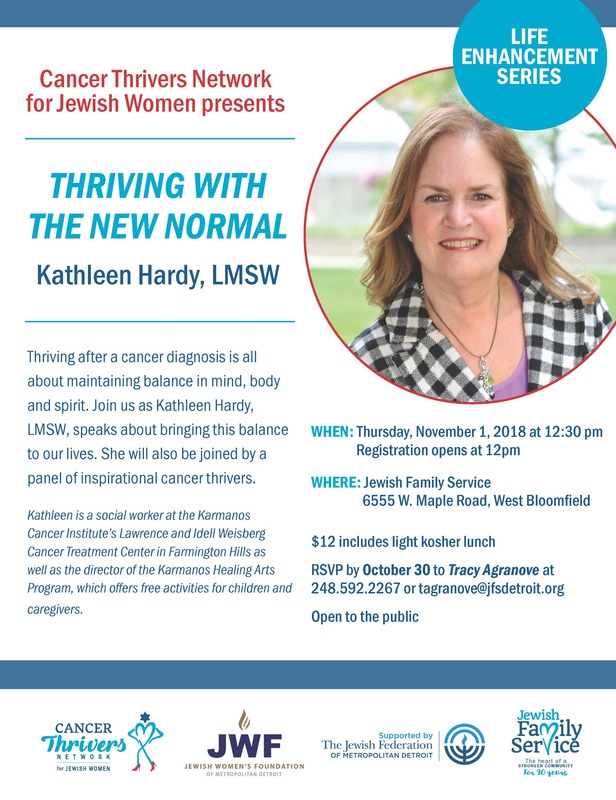 Join the Cancer Thrivers Netwok for Jewish Women as Kathleen Hardy, LMSW, speaks about bringing this balance to our lives. She will also be joined by a panel of inspirational cancer thrivers. $12 includes light kosher lunch.